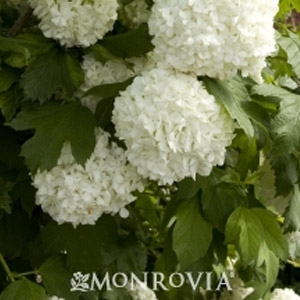 Masses of pure white, snowball-like flower clusters make a showy display. Bright green leaves have a purplish-red fall coloring. Spectacular landscape specimen. Deciduous.